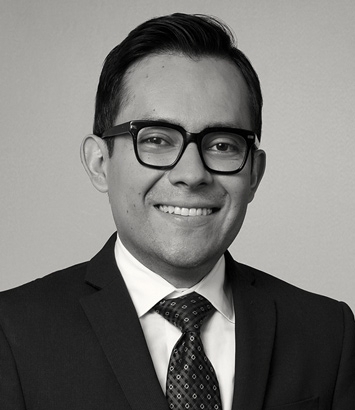 David Castillo Gocher is a labor and employment attorney in Dinsmore's Cincinnati office. David focuses his practice on business immigration and nationality law, specifically advising clients on various aspects of employment-based immigration including immigrant and non-immigrant visas. He is part of a team aiming to provide creative solutions to complex business immigration matters, including those involved during mergers, acquisitions and corporate restructuring. As a supporter of the arts, he also has an interest in obtaining O-1 and P-1 visa status on behalf of musicians, actors and large entertainment groups for touring and working in the U.S.
At Dinsmore, he is an active member of the newly created LGBTQ Affinity Group, which focuses on providing opportunities for attorneys to collaborate on efforts to support LGBTQ equality in our firm and in our communities. David is also a member of the firm's Minority Affinity Group. Before working at Dinsmore, David served as the managing editor for the Journal of Technology and Intellectual Property at Northwestern University, where he directed the day-to-day operations and administration of the journal and its staff. During his last semester at Northwestern, he served as a law clerk for the Legal Aid of Cincinnati focusing on immigration, housing, and family law. He also served as a judicial extern to Judge Sidney I. Schenkier in the Northern District of Illinois. David is currently a candidate for the Doctorate of Musical Arts at the Northwestern University Bienen School of Music.